Toronto MC Tasha the Amazon earned herself a Juno nomination for Rap Recording of the Year with last year's Die Every Day EP. Now, she's unveiled a video for EP cut "Watch It Burn." 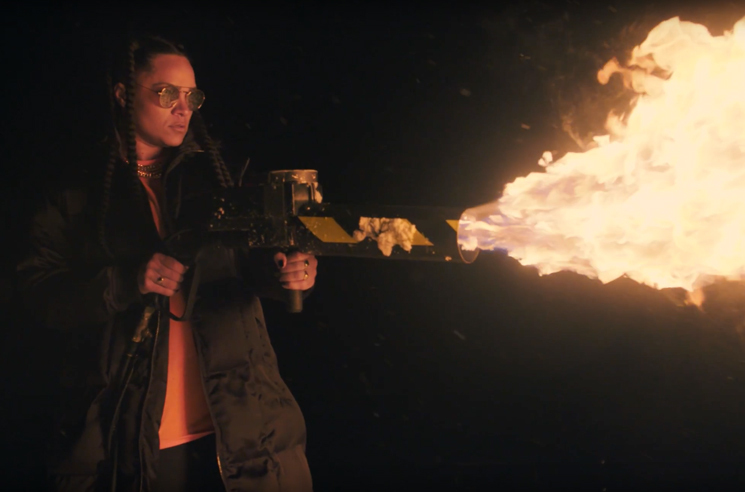 Directed and edited by Colin G Cooper, the new clip sees Tasha armed with a serious flamethrower in setting a pile of scrap wood ablaze. She and her crew also have plenty of fireworks on hand for more explosive power, in case her tracks weren't enough. You can "Watch It Burn" in the player below. Tasha the Amazon "Picasso Leaning"